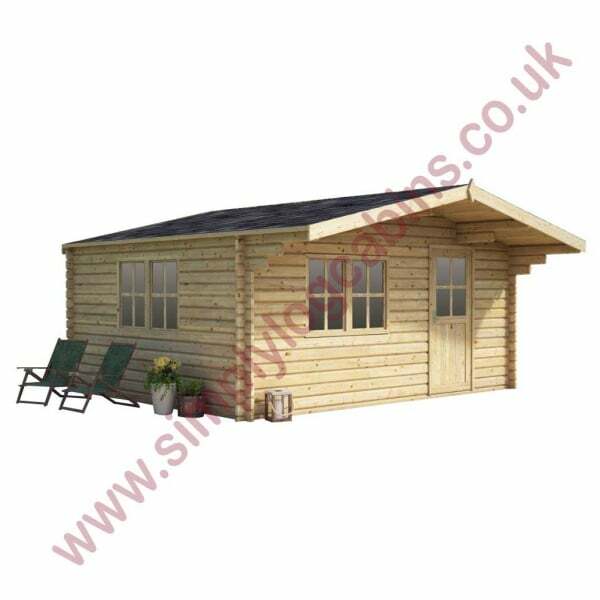 Eurovudas Plymouth Log Cabin: The Eurovudas Plymouth Log Cabin has thick 68mm wall logs with a triple interlocking tongue and groove, which provides excellent protection against ingress by water and cold winds. With a double window in the front and double window in the side, the cabin lets in lots of natural light and allows easy control of ventilation in hot weather. All windows, including those in the door, are double glazed. This highly attractive log cabin comes with the option of shed roofing material and bitumen felt shingles in green or black, in order to give extra protection to its 19mm roof boards. Floor boards, also 19mm tongue and groove, are included as standard.